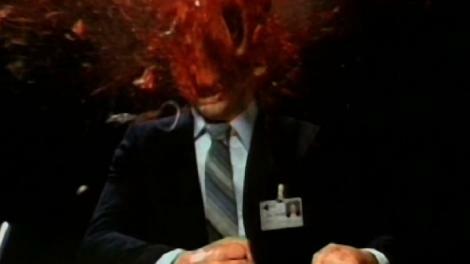 Scanners Trilogy (1981) – Winning. Words. “Scanners? Don’t make me laugh,” scoffs the Mayor (Dorothée Berryman) in the trashily enjoyable Scanners II: The New Order. She has a point, especially when it comes to the preposterous Scanners III: The Takeover. David Cronenberg’s original 1981 cult classic remains serious sci-fi though, as reliant on ideas as cranium-bursting FX as it explores an underground war between persons of extraordinary psychic power (including unforgettable mind-assassin Michael Ironside).